This book is a fun read, and very useful no matter who you are. Trying to motivate employees? Great. Trying to make little Timmy's birthday party one he'll remember forever. Awesome. Want to help a stubborn person change their mind? Groovy. 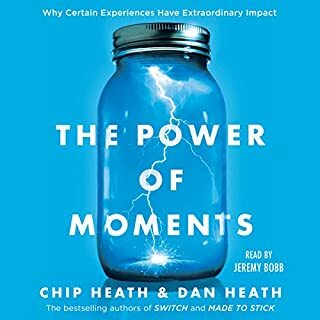 The applicable possibilities are endless, they'll give you more creative ways to solve problems and great potential to create joy and fun out of the most mundane occasions in your life. 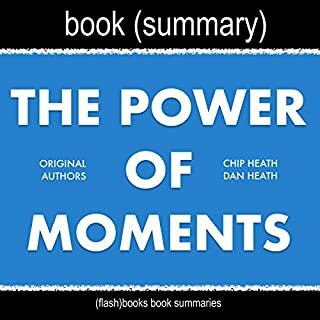 I listened to the unabridged version of this, and the summary doesn't even come close to communicating the details that actually make the authors ideas work so magically. The full version is only 6 hours and 24 minutes, get the full version. THE FULL VERSION IS A 5 STAR BOOK, its amazing, it's such a good book in fact that I bought this summary too, so I could brush up on the core concepts frequently. This summary is like buying a plane ticket to Fiji, but never leaving your hotel room. Sure you can tell people you've been to Fiji, but you can't tell them what it's like being in Fiji and you certainly wouldn't get much out of that vacation other than a large credit card bill and stiff legs from a long flight. A summary without the detailed case studies would be fine, but it summarizes and misses the main points that make these ideas work. It's the difference between saying losing weight is good vs cutting down on sugar will help you lose weight. Again, the FULL BOOK is amazing and I highly recommend it. If the summary authors read this, my apologies for the harsh words, but this really doesn't communicate the system the authors designed. 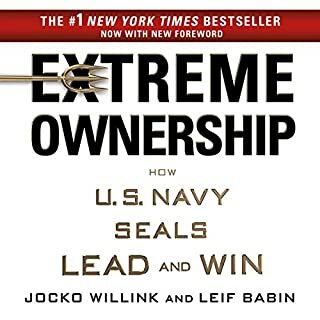 The same way that high performance NASA and F1 racing technology trickles down into consumer life from their edge of the bell curve applications, so do these leadership lessons gleaned from the high stakes, high pressure, situations of the Navy Seals operations in Iraq. The gripping first hand storytelling alone is worth the price, the leadership principles are easily applicable and motivational. Good read for anyone looking for leadership lessons applicable to business, sports, or educators. Good read for people interested in military culture as well. Thanks to the authors for taking the time to share their hard learned lessons!